For as long as I can remember Ben has shown an interest in magnets. If I’m honest I find them rather fascinating myself! 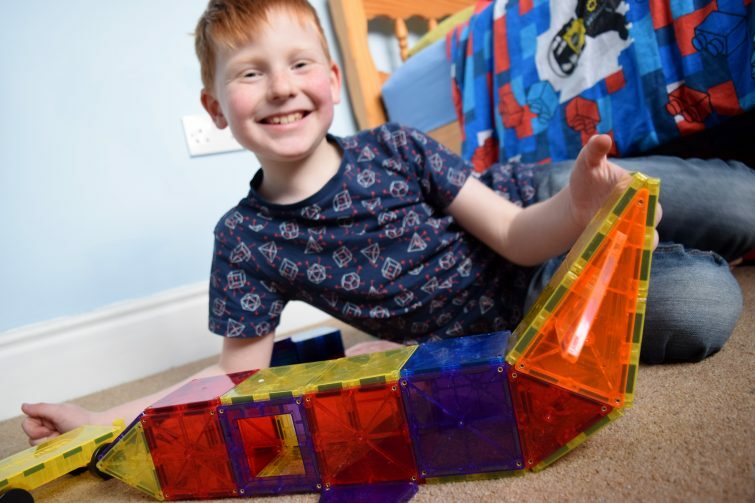 Magnets combined with construction was always going to be a winner for my boy. I know he is drawn to a magnetic construction kit at his after school club but it’s not something we’ve had at home until now. 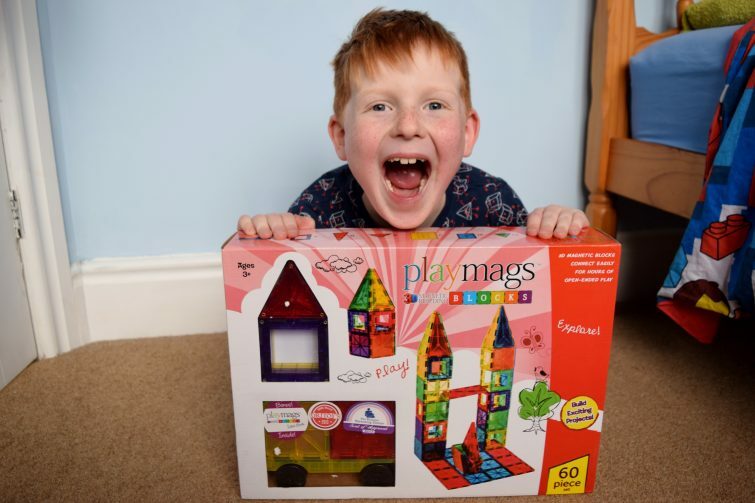 Playmags are a range of award-winning magnetic building blocks designed to be super easy to use thanks to their magnets which attract on all sides, even when flipped round. 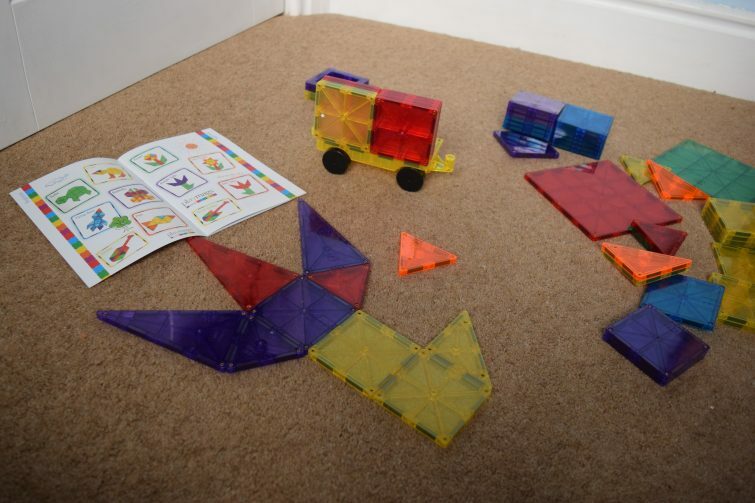 Even before we’d opened the set, I was excited for the learning potential of these colourful, magnetic tiles – my head was buzzing with ideas for exploring the properties of shapes all whilst playing. 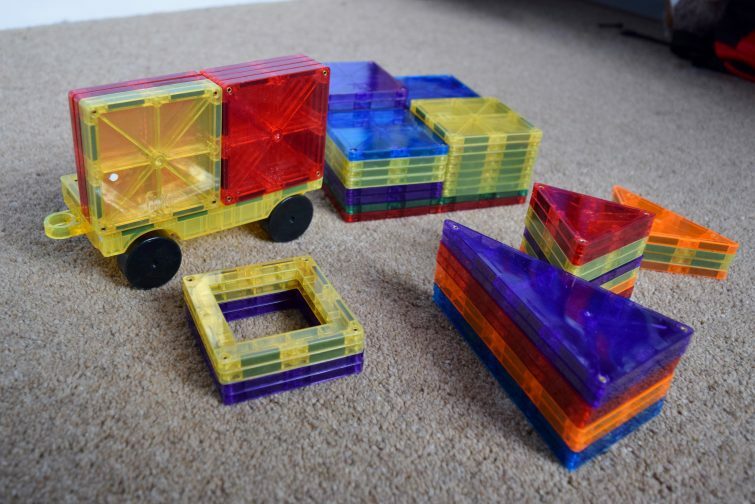 Of course the kids weren’t thinking about the properties of shape at all, they were more interested in getting on and seeing what they could build. The bright see-through tiles are really pretty too look at! 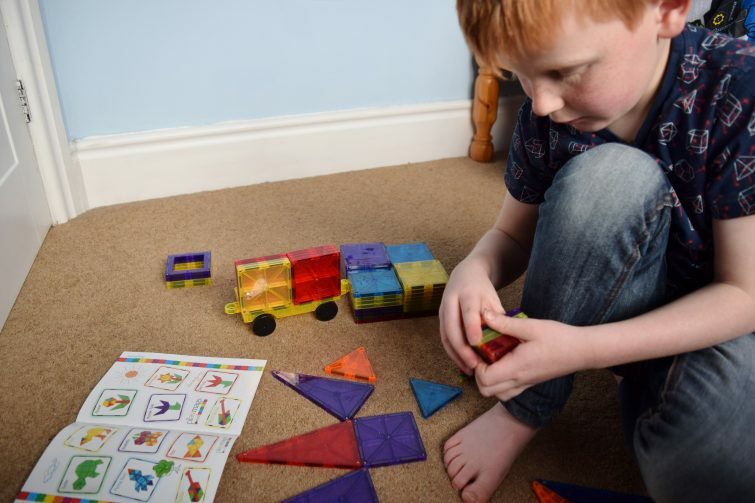 There’s so much learning potential – spatial awareness, properties of 2D & 3D shapes – Ben has quickly learned to differentiate between three types of triangles and name them.